Going off to University or college can be a significant change in life for a young person. Leaving all the comforts of home is one of the big changes. If you are living in a dorm room space is limited, and privacy is none existent. Noises and distractions from fellow students can be a problem. Most students are on a low budget and need ways to save money. Fortunately, there are many new tech gadgets introduced over the years that can make going to school and living in a dorm much more comfortable. Many tech gadgets for college students on this list are very practical and will save a student some time and money and give them a few luxuries like home. Here is my list of Cool Gadgets for Students in a Dorm. I good rule for anyone with a computer is to backup your files regularly. Today's students often have laptops that they carry with them to class. Unfortunately, laptops often get broken, lost or stolen. This can leave a student devastated. The cost to replace a laptop is a problem, but moreover, the data that is on the computer is more important. Imagine losing all your written reports and notes from the last few semesters. If you have experienced this you know, it is not a good feeling. Long hours on smartphones or computers have contributed to shoulder and back problems. Back and shoulder issues are becoming more common with younger people and can lead to a lifetime of pain. The Upright GO Posture Trainer and Corrector for Back is a high tech gadget that will remind you to sit or stand up straight with a real-time gentle vibration reminder. Many users have reported a posture improvement of 92% in less than two weeks! The Upright GO Posture Trainer has two components a sensor that is a strapless posture corrector device that you place on your upper back. This device connects to an App that will allow you to control the tracking device. The app tracks your daily posture and will gently vibrate to remind you to sit up straight. Fully charged Upright GO will last up to 12 hours. Getting a good night sleep in a dorm room can be quite difficult for many people that are light sleepers. Having poor sleep quality can significantly affect your academic performance. If you are bothered by the noise in a busy dorm room, the Bose Noise Masking Earbuds could be the answer for you. They may look like regular earbuds that play music, but instead, they omit soothing sounds that cover up the surrounding noise and allow you to relax and fall asleep. Nobody likes cold coffee, and the worst thing you can do is put your coffee in a microwave to warm it up. 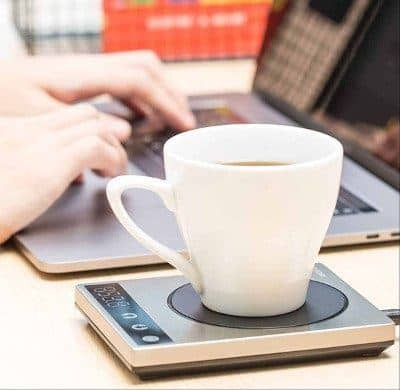 The Cosori Premium Stainless Steel Coffee Mug Warmer is an ideal gadget to keep your hot beverages hot. Can be used for Use for coffee, tea, hot cocoa and more. Safe operations with a spill resistant top that can easily be wiped down. The Cosori keeps hot beverages at the same temperature for a more extended period. Use a thin bottom mug for the best performance rather than a concave bottom. Every parent worries if their child is keeping their clothes clean when they are away at school. A busy student often does not have time to sit in a laundromat for hours getting their weekly laundry done. An Ultrasonic Portable Washing Machine is ideal for students, especially girls that have more delicate clothing that needs to be washed more often. 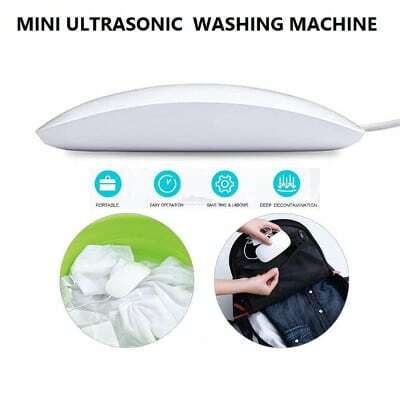 A Ultrasonic Washing Machine will not totally eliminate the need for using a full washer machine, but I can see this machine eliminating small unnecessary washing loads for small loads of light undergarments. Getting a student to vacuum their dorm room regularly most likely will not happen. 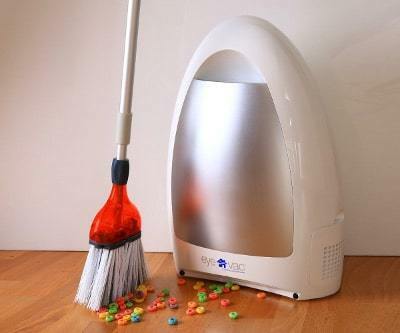 But having a Eye-Vac Home stationary Vacuum sitting in the corner with a broom handy is more likely to be used. The Rocketbook Wave may appear to look like a regular notebook at first glance, but after further examination, you will find the Rocketbook is a high tech cool gadget. The Rocket Wave is a never-ending notebook. The Rocketbook wave comes with a special Pilot FriXion pen. This pen works like a regular pen and takes about 15 seconds for the ink to dry. This doodle drawing or note can be upload to the cloud and syncs with Google Drive, Dropbox, or Slack and others. Wipe with a damp cloth to remove writing and you now can reuse the notebook. Having a printer and scanner on hand can sometimes be a problem when you are living in a dorm. 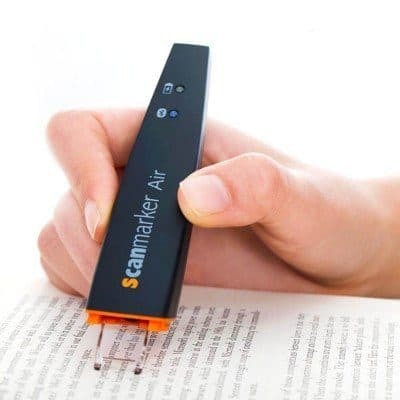 The Scanmarker Air Pen Scanner is a portable scanner that virtually can fit in your pocket. This cool device can help any student save time by just scanning the information they need and not the whole page, makes taking notes faster and easier. Install the free app and can scan directly to your computer or smartphone. The Scanmaker Air is rechargeable with USB port and very portable. Anyone that takes a lot of notes would love this gadget. It received a lot of positive reviews and Scanmaker provides good customer service. Available at Amazon. A little break between studying is always a good idea. 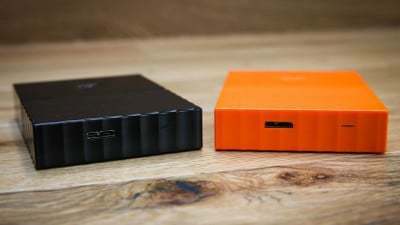 Leave your big gaming console at home and take the Nintendo Switch with you to the dorm. The Nintendo Switch is a mobile gaming system from Nintendo. The Nintendo Switch system gives you a full home console experience anytime, anywhere. The Nintendo switch rests in the dock that connects the system to a TV. This gives you the ability to plan on a small screen along or a large screen with friends. Get the mobility of a handheld but with the power of a home gaming system. The Switch has an awesome gaming experience that you can play solo or with a friend with the two new Joy-Con controllers. This portable gaming unit is ideal for a student in a dorm with limited space. The Switch is a versatile gaming device that can be played anywhere. Many games are available. Available at Amazon. The best way to reduce daily food cost is to prepare food yourself. This three in one Gadget on the list is a multi-food station. 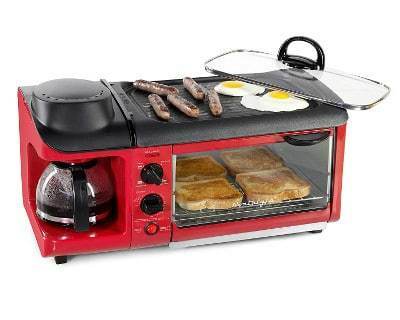 The Nostalgia 3 in 1 breakfast station comes with a non-stick griddle that will allow you to fry up some eggs and sausages. A toaster oven to make toast, bake or broil. Great to warm up prepared dinners. It also has a 4 cup coffee maker. The Nostalgia is just the right size for a dorm room and will provide all the basics a busy student needs. It also has a half hour shut off timer for safety. Priced under $100 this handy Gadget is a compact food preparation station. Available at Amazon. Here is a cool gadget that is both practical and a bit of a luxury. Studies have found sitting for extended hours is not good for the human body. This is hard to avoid if you are a student with a heavy study load. Getting up and stretch periodical throughout the day can really help prevent aches and pains that can be the result of long hours of sitting. A good ergonomic chair can help ensure you sit correctly and have good posture. Not only does the Race Car Heated Massage Office Chair Executive Gaming Chair provide this, but it also includes massage and heat to soothe aching muscles. This chair will also help increase circulation, stimulate muscle movement, relieve tension and improve productivity. The Race Car Heated Massage Office Chair has six different points that range from healing back support to leg circulation and comfort. This chair is well made with thick padding that provides upper back, lumbar support, 360-degree swivels, tilt function and gas lift height adjustment. Reasonably priced. Available at Amazon. If you already have a chair or want a more portable option. The Comfier Shiatsu Neck & Back Massager can be used on a standard chair or couch and provides 2D/3D Finger Pressure Shiatsu, Rolling, Air compression, Vibration and Heat functions to provide you an omni comfortable massage to soothe muscles and ease tension like a spa massage. Available at Amazon. A good repair kit is always good to have on hand. Learning to fix a few things yourself can save a lot of money. Having the right tools will significantly help get the job done without damaging the device. Many electronic gadgets have special screws and fasteners. The iFix Pro Tech Toolkit is explicitly made for computer and electronics repairs and designed to fit most fastener types that are currently being used in the consumer electronics. Not only is the iFixit a tool kit it comes with Step-by-step repair and installation guide a Q&A forum with more than 100,000 problems solved and access to a community of repair pros from around the world that share knowledge, tips, and tricks. Priced at around $60 this kit can pay for itself with one repair job. Available at Amazon. The air quality in a dorm room can sometimes not be the best. Indoor pollutants in the air can be 5X more than air outside. Many times dorms have stuffy, stale air and this environment can be difficult for many people especially people with allergies. The Dyson Pure Cool Me is a personal air purifying fan. That captures allergens, pollutants, and gases. The Dyson Pure can provide warm, clean air in the winter months and cool air during the summer months. The Dyson Pure always circulated air through A HEPA Filter that purifies the air and to provide you with better indoor air quality. Sitting long hours in front of a computer can cause neck and shoulder pain. A great way to relieve this tension is to go for a massage, but in reality, most students do not have the money for a regular massage. This portable massager will give you the ability to massage full body parts to release stress, sore muscles, and help you relax. Available at Amazon. What student does not like listening to music. The JBL Xtreme 2 waterproof Bluetooth speaker is an ideal speaker for a student on the go. The new waterproof Xtreme 2 has improved sound 15 hours of battery life and can be connected wirelessly with a Bluetooth connection. This speaker is very ruggedly built and is full IPx7 waterproof rated so it can take a little abuse. Weighing in at a little over 5 lbs the Xtreme 2 is just the right size to carry around and have great sound anywhere. The Xtreme two also has a USB charging port so you will always have a power source to charge your phone. The Xtreme has had many happy users over the last couple of years and is a great sounding speaker that any student would love. See my full review or go directly to Amazon. They have reduced the price and now it available for under $200. Available at Amazon. Using a speaker in a dorm room may be a disturbance for other students. Having a good pair of noise-canceling headphones will allow you to listen to audio anytime anywhere without disturbing others. 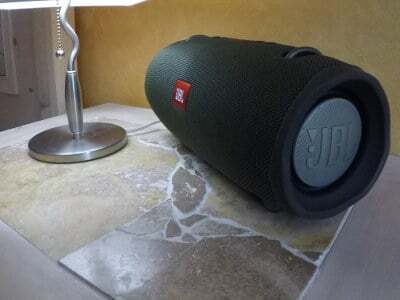 The Bose-QuietComfort is a top of the line wireless Bluetooth speaker that cancels out surrounding noises. 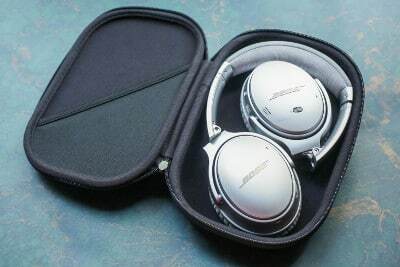 The Bose QuietComfort provide exceptional sound quality with a long 20 hours of playtime. The are very comfortable to wear for long periods and comes with a convenient carrying case to store in when not in use. There are less expensive options available, but the performance wise it is hard to beat the Bose QuietComfort headphones. For more information see my full review or go directly to Amazon. Available at Amazon. 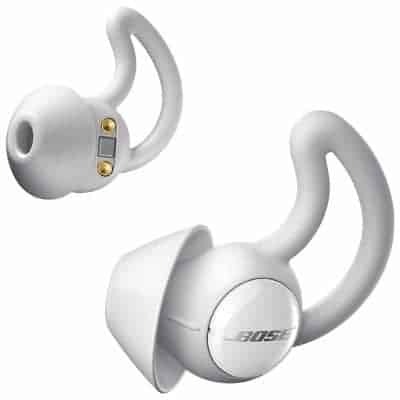 The Bose-QuietComfort Headphones are not cheap and may be out of budget for a starving student. A great alternative option is this pair of Wireless Noise Cancelling Headphones from Amazon that are under $100. Not as good sounding as the Bose but for less than a third of the price they are excellent sounding headphones and they come in a few cool colors. A full-size vacuum cleaner may be a bit much for a student to have in a dorm room, but the Dyson V7 Trigger Handheld Vacuum is just the right size for quick cleanups and dusting. Dyson is well known for its exceptional vacuum cleaners, and the V7 trigger is no exception. The V7 Trigger provides up to 30 minutes of cordless operation in low power mode and 6 minutes in high power mode. The V7 delivers excellent suction for quick clean ups. If vacuuming is to much of an effort. The eufy RoboVac is a fully robotic vacuum cleaner that is fully automatic and will charge itself. The eufy RoboVac has very good reviews and costs much less than the iRobot roomba. 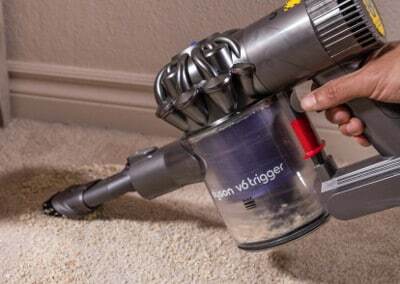 The only caveat is floor must be kept clean of clothing and other items to allow the vacuum to move freely on the floor surface. A solar charger backpack can be a convenient Gadget for a student on the go. Keeping your devices charged can be a challenge if you are on the move all the time. A solar charger backpack is a great way to charge your devices when out and about, and the cost is free. The cost of a solar powered backpack is a little over double the price of a good quality backpack, but it includes a solar panel. 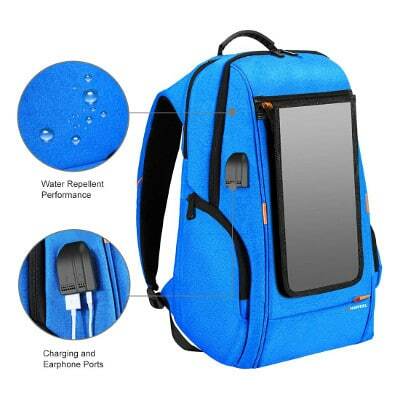 A solar backpack is a handy power source in case of an emergency with convenient storage just like a regular backpack. The Hewall backpack has a 7 Watts Solar Panel that can charge an iPhone, iPad, iPods or Android Smartphone. Ideal for hiking, camping, emergency, and outdoor activities. Available at Amazon. At the end of a long day, it is nice to take your shoes off and relax but in a dorm, it may not be a good idea to walk around a dorm room bare feet and wearing a pair of slippers or sandals is a good idea. Although the Wiivv sandals are quite a bit more expensive than a regular pair of Flip flops the Wiivv sandal is no ordinary footwear. 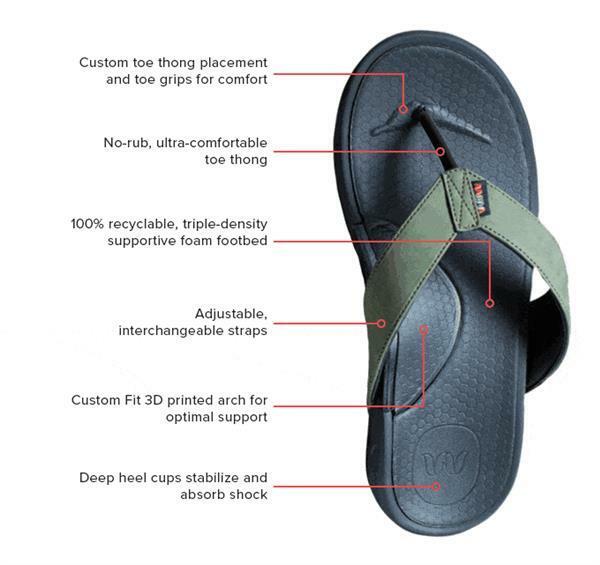 The Wiivv flip flop is custom 3d printed that is made custom for your feet. These sandals provide arch support, eliminate plantar fasciitis pain and are just plain comfortable to wear. Waterproof and rugged. The Wiivv sandals / Flip Flop can be used in the shower. The Wiivv sandals come with your name printed on them and with a custom fit to your feet it is less likely they will get stolen. Order online with the Wiivv App and receive a pair of custom sandals in a few weeks. See my full review. The SodaStream Jet Sparkling Water Maker is a great way for a student to save money.The SodaStream takes any water and will add carbonation to it. No need to haul back to the dorm room cases of pop. Just use any good quality water and give it a few pumps add any number of flavorings and voilà you have a sparkling soda drink. The SodaStream is compact easy to use and reduces wasteful pop cans and bottle. You can add a little lemon, lime or orange juice and eliminate some of your sugar intake. Priced under $50 this convenient gadget will be a favorite around the dorm room and requires no electricity or batteries. Available at Amazon. Ok here is an item that is an old gadget but a useful gadget that will truly save you a lot of money. Buying coffee daily can really add up over time. Daily trips to the coffee shop not only is expensive it can be a big time waster. Making coffee yourself is not difficult and can cost a fraction of the cost of coffee shop coffee. 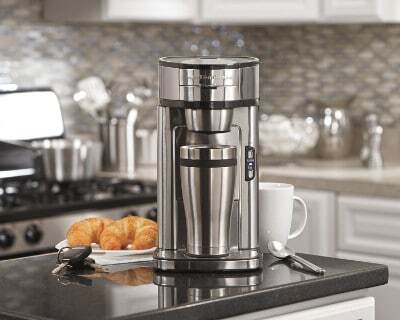 A single brew coffee machine is ideal for a student. With a good quality coffee, freshwater and you can brew a great cup of coffee yourself. Buy small bags of ground coffee more often to ensure flavorful coffee if you can buy beans and grind them yourself for best results. You will need a coffee grinder. See Available at Amazon.